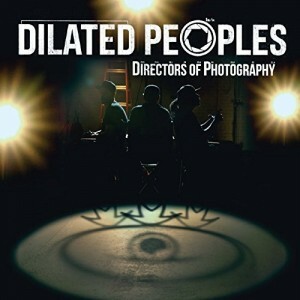 After eight years of solo projects, Dilated Peoples have returned with their fifth album, Directors of Photography. As openers on Jurassic 5’s reunion tour, the Los Angeles trio found the perfect audience to premiere new material. The finished product makes it clear that Dilated have little interest in expanding their fan base beyond likeminded nostalgia-hungry traditionalists. Evidence and Rakaa Iriscience are incapable of clunkers, but no matter how patient or passionate their bars, elaborate platitudes touting little more than mic skills tend to bleed together. The “extended cypher as song structure” motif reminds us that Dilated’s greatest exposure came not from getting produced by Kanye West but from getting dissed by Marshall Mathers. Introspective turns on “Let Your Thoughts Fly Away” and “Century of the Self” are the album’s true standouts, proving that Dilated Peoples are capable of offering much more than reliability.